In our last post, we highlighted five of the premier party Venues in Northeast Florida. But since North Florida has so many great venues, we had to do another post. 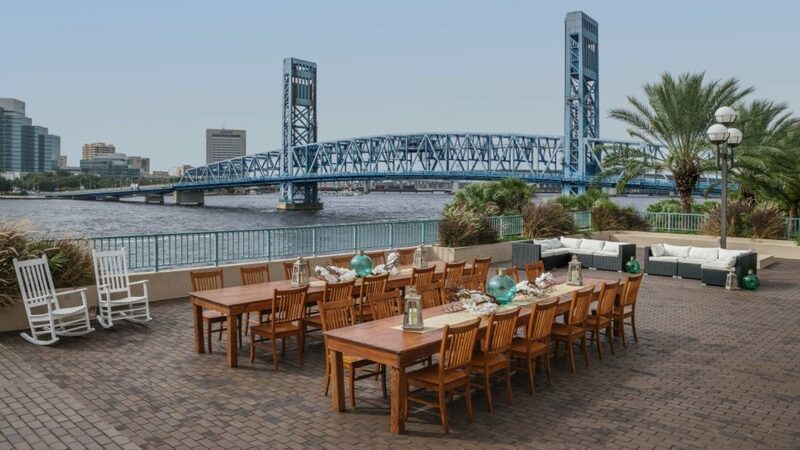 Here are five more beautiful sites in Jacksonville that are available for rent when you plan your next big party. Check them out below. Located just steps from the St. John’s Riverwalk, the Omni Jacksonville Hotel pairs southern hospitality with contemporary luxury. Situated in the heart of downtown, this luxury hotel puts you steps away from Jacksonville’s most popular cultural and business districts. 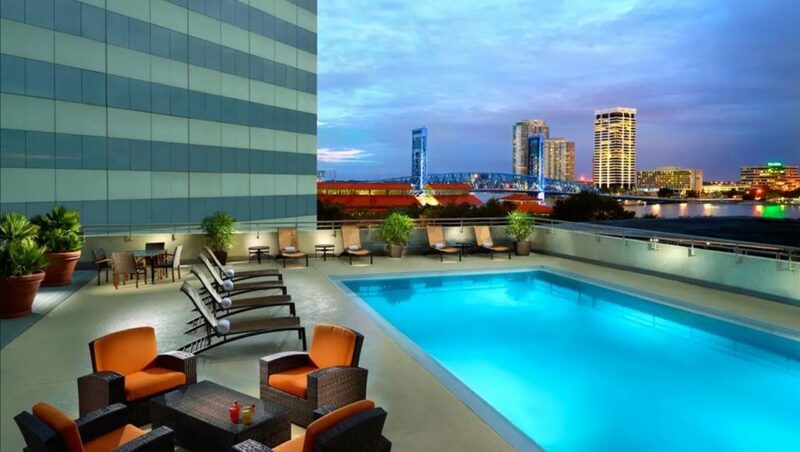 Omni’s rooftop pool is sure to impress any guest with views of the St. John’s River and Main Street Bridge. Epping-Forest Yacht & Country Club combines world class amenities with historic architecture . 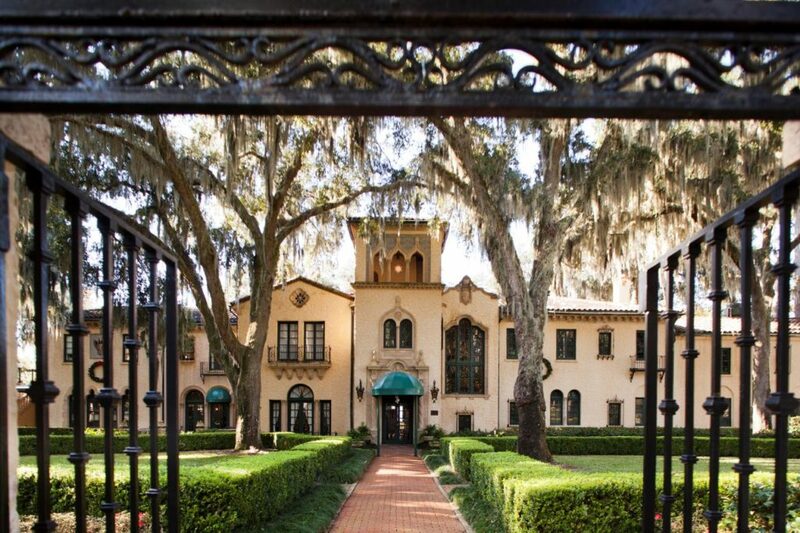 Built in 1926 by industrialist Alfred I. duPont and wife Jesse Ball duPont as their Florida residence, Epping-Forest was quickly distinguished as one of the country’s finest estates. Many illustrious guests, such as the Vanderbilts, Carnegies, Goulds, Presidents Gerald Ford and Anwar Sadat, graced its rooms for lavish parties. Recognized on the National Register of Historic Places, Epping-Forest Yacht & Country Club can offer your guests a traditional elegance with the modern conveniences of today. Inspired by the gardens of Europe, Ninah May Holden Cummer gathered a group of twenty friends in her Riverside home on March 25, 1922 to organize a garden club to create a more beautiful city. This group ultimately went on to build the Garden Club of Jacksonville. There, guest will enjoy the beauty of the gardens cared for by the organization for almost a century. Located in Ponte Vedra Beach, between St. Augustine and Jacksonville Florida, the Sawgrass Marriot Golf Resort & Spa. offers guests an unforgettable experience. Amenities include a pristine private beach and a SurfStream wave pool. It’s the perfect venue for a large corporate celebration. The Thrasher-Horne Center is a performing arts venue and conference center located at St. Johns River State College in Orange Park. The $22 million, 84,666 sq. ft. Thrasher-Horne Center is available to rent for private parties. 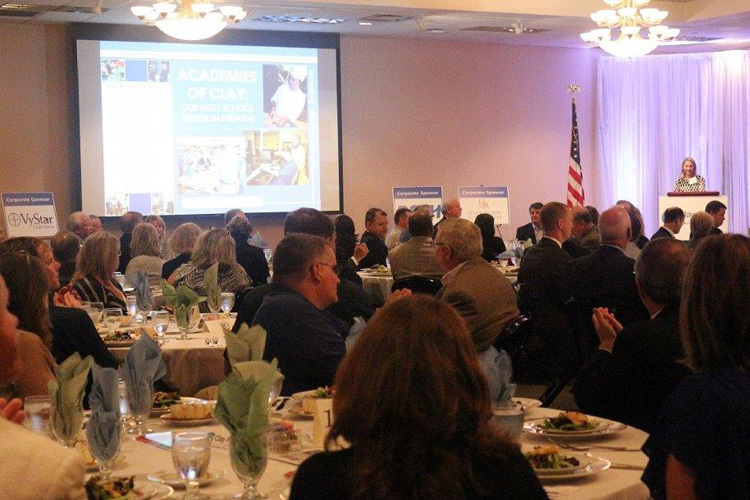 There are five banquet rooms that are ideal for any occasion. The Venues of Jacksonville offer beautiful scenery to celebrate life with friends and loved ones. With breathtaking views and state of the art amenities, the available venues never fail to impress. Check out other posts from Jacksonville Party Company to see more amazing venues around Jacksonville. Sunny Jacksonville is blessed with natural beauty and great weather. Many Americans choose to spend their retirement savings here and enjoy everything that Jacksonville has to offer. Businesses in the hospitality industry compete for the attention of Jacksonville residents which has produced some of the most luxurious venues in the country. 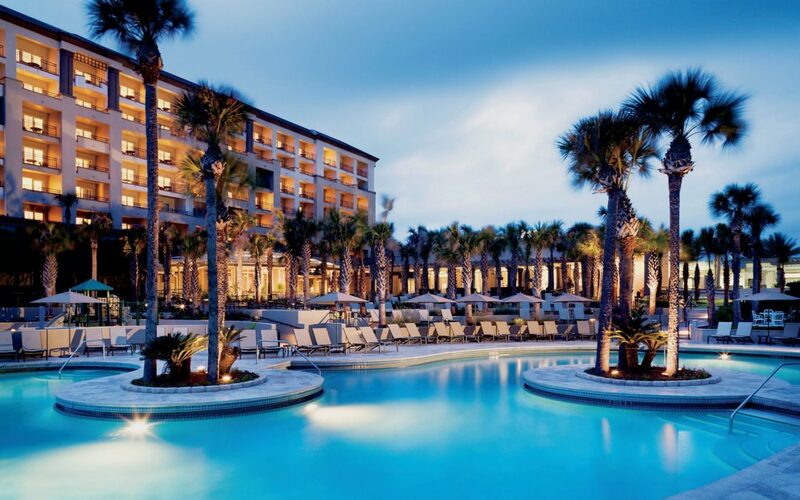 Located on a barrier island off of Florida’s coast, The Ritz – Carlton offers a luxurious experience to it’s guests in a land once occupied by pirates. A gorgeous lagoon style pool offers guests a view of the Atlantic ocean. The abundant space surrounding the pool’s clear blue water makes this the perfect venue for a sushi buffet complete with an appearance from a live mermaid. Only a few minutes drive from JAX Beach, Jacksonville Golf & Country Club can meet the needs of almost any event or gathering. 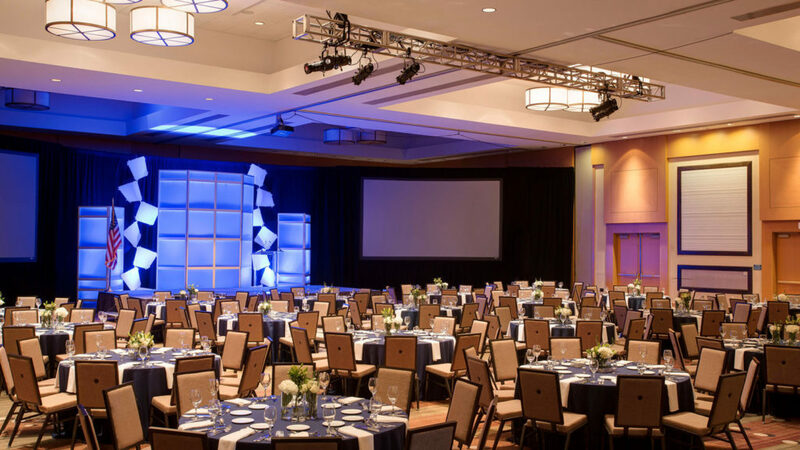 They frequently host holiday parties, sweet sixteen parties and corporate outings. Jacksonville Golf & Country Club impresses guests with a heated pool and wading pool, four dining venues, including an adults only area, and banquet space. Established in 1923, Timuquana Country Club has offered members and their guests an enduring legacy of hospitality. 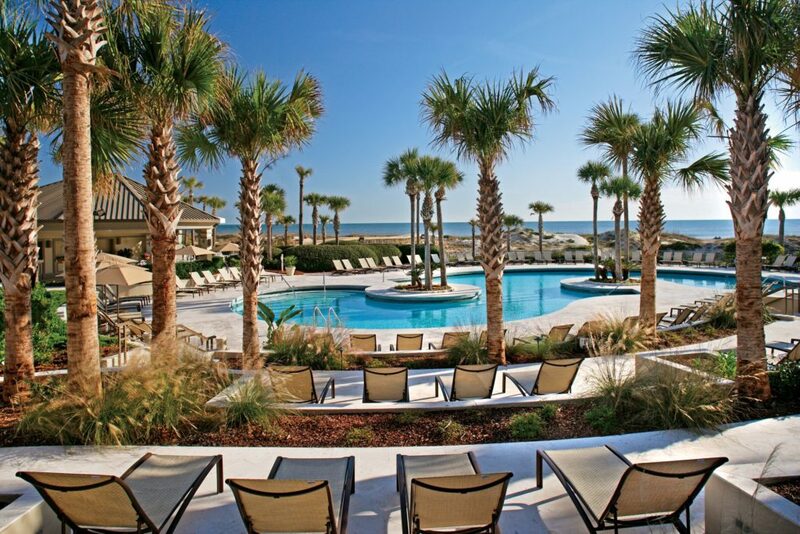 With exceptional golf, tennis, fitness and dining amenities, a vibrant social calendar and a “million-dollar view,” Timuquana is more than a premier private club – it’s an experience. Located only a few miles away from Atlantic Beach. Queen’s Harbour provides the ideal spot for hosting your private event. 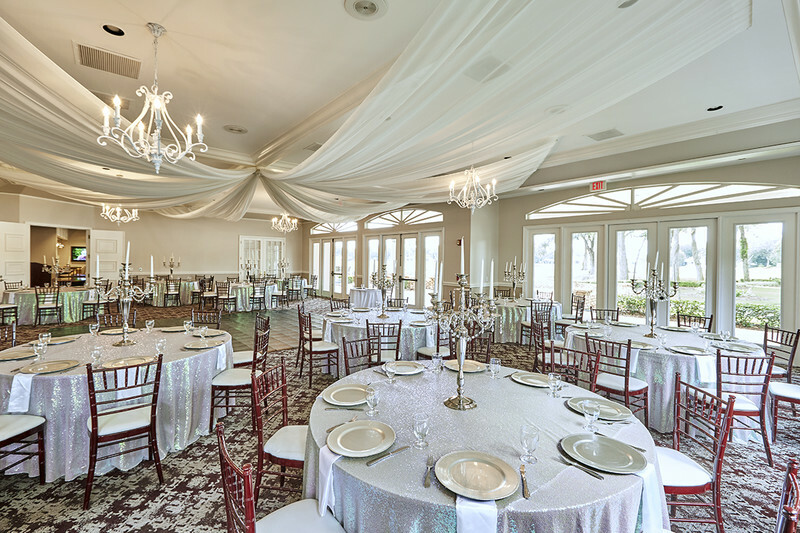 The Club offers a beautiful selection of full-service private party and event space, which will accommodate groups up to 180 for a seated event or up to 500 for an indoor/outdoor reception style event. The Venues of Jacksonville never fail to wow their guests with amazing aesthetics. Be on the lookout for more posts about the great venues of Jacksonville.